Art and Design students develop professional portfolios and present them to visiting professionals. Make your education your own. At BSU, we offer a highly personalized undergraduate experience, where professors double as mentors and there’s no limit to what you can learn or where you can go. Major in Wildlife Management and Outdoor Recreation, and apply for a summer internship at one of the region’s many forest or animal preserves. Pursue your degree in Community Health and minor in Spanish or Social Studies to give your education some valuable context. The options are almost endless. We also have offerings you won’t find anywhere else – such as Aquatic Biology, Space Studies and a wide range of pre-professional and professional education programs. Whatever your academic interest, we’ll help you find the internships, field work and study abroad opportunities to apply your learning to the real world and increase your professional potential. 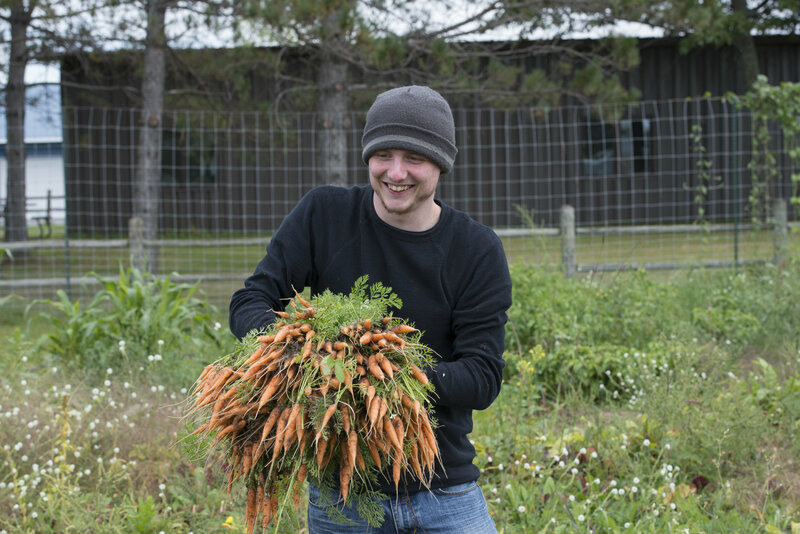 Jordan and other Sociology students completed service learning in the Bemidji Food Shelf garden.